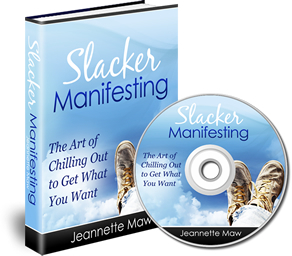 Looking for the Slacker Manifesting ebook? You might have heard this one is already changing lives of those who have read it and started practicing their relaxing skills! It’s a digital download, which means you can have it in your hands in a matter of minutes. Huge thanks for checking out Slacker Manifesting! I just bought this book but I already know this method works. I’ve been doing it and not realizing it was Slacker Manifesting. For the past year I’ve been cleaning up my credit to qualify for a mortgage. But there was one credit card account on my credit report that was really dragging my score down and it was stressing me out big time. I’d been receiving letters from a collection agency about this account offering to settle with me for less than owed. However, that wouldn’t remove the account from my credit report and everything I read said paying a collection agency could actually make my credit worse. I even wrote three different letters to this company offering to pay the account if they removed it from my credit report but something was holding me back from actually putting the letters in the mail. I didn’t mail any of them. Instead, I listened to my intuition that everything would be okay and let it all go. I did nothing. I stopped worrying. Two months later, I got a claim form in the mail telling me I was eligible to be a part of a multi-million dollar class action lawsuit against this credit card company for deceptive business practices. Needless to say, I filled out the claim form. Three months after that I got a letter in the mail informing me that as part of the settlement this account would be removed from all three of my credit reports PLUS I’m getting a refund check! Slacker manifesting really does work! I cant wait to learn more about it!